Get your personalized referral link to send out in emails, add as a banner to your website, or incorporate into your e-commerce application. Each time a new merchant signs up for a PayPal Business or Premier account via your link or banner, you'll immediately start receiving 0.5% of their payment volume - up to $1,000.00 USD. 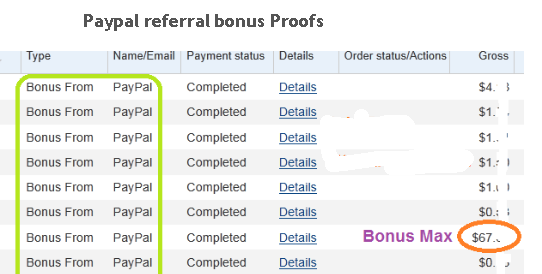 Note: The Merchant Referral Bonus program is designed to reward referrals of non-eBay merchants. As a result, payments received for eBay items will not contribute toward the Merchant Referral Bonus. For more information, visit our Merchant Referral Bonus FAQs page. Chúc các bác thành công !! !